Book a ghost hunting experience. Book a ghost hunting experience for yourself, friends or as a gift and hunt ghosts with a medium and historian. This experience lasts for about 10 hours - if you last that long you big fearties!! They generally start at 8pm and finish at about 6am. As part of the ghost hunting in Aberdeen you will be able to attend a Psychic Workshop - The investigators on the evening will work to give a reading using Psychometry or perform a task using dowsing rods or a pendulum. The medium will also attempt to contact someone from the other side. The medium and investigating team will then give a Ghost Hunting Kit Demonstration - which are the tools of the ghost hunter's trade. They will include an EMF meter, NID, Canum, Hygrometer, Laser Thermometer, Dictaphones, Digital Cameras and an Infra Red PIR Motion Detector. Each team will receive an equipment pack to record your findings throughout the evening. These pieces of ghost hunting equipment can help detect what could be the presence of a ghost or a physical cause. For example sudden temperature drops or rises can be cause by the appearance or movement of a ghost or could be draughts from open fireplaces or ill fitted windows. Electromagnetic Field Meters (EMF meters) can measure fluctuations in energy within a room and can be an indication of ghostly or paranormal events taking place. There is more written about the ghost hunting kit and each piece of equipment further on this ghost hunting in Aberdeen article. Purchase a ghost hunting experience throughout the UK or at Leith Hall and other Aberdeen locations such as the Tolbooth. Items you may wish to bring yourself when ghost hunting in Aberdeen and Aberdeenshire include a torch and spare batteries and a spare bulb, a digital camera with a spare memory card, notebook, pens and pencils and a candle. Something as simple as candles can be used to see if the flickering flame indicates if a ghost is present, but do check there is no natural draught in the room that may cause the candle to flicker. Some ghost hunters like people who accompany them ghost hunting to take a dog. If you are thinking of taking your dog do check with the organisers of the ghost hunt experience because some locations that have ghosts may still be used as a stately house or lived in as a home and the owners may not allow dogs because of the dog hair or other mess they may leave. The reason ghost hunters like dogs to be presence is that animals have psychic abilities and can tell if a ghost is present. An example of this can be read on the His Majesty's Theatre page you can read that guard dogs have never walked down an area said to be haunted by Jake the ghost. Not all dogs show fear towards ghosts and won't always raise their hackles, bark or growl or refuse to go into a certain area. 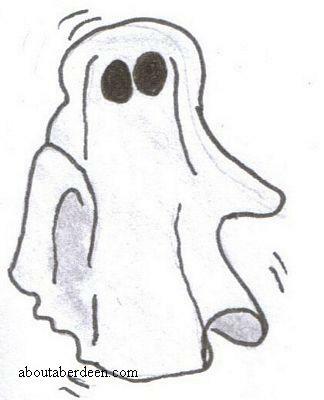 Other ghosts may be friendly and be greeted by a wet nose and wagging tail! Once you know how to use your spirit equipment you are then led on a Ghost Walk and a History Walk - This is your chance to have a good look around the haunted property, at night in the dark - though they may let you switch the lights on!!. The Medium, who will have no prior knowledge of the property whatsoever, will give out information on the energies they are feeling in the property of the ghost walk Aberdeen property or location. There is more about this written further below. A local Historian will try to validate the energy information given with what they know about the property, eg deaths, murders, famous people, former owners, occurrence and events in recorded history. The Vigil then occurs - Now you begin your own hunts for paranormal phenomena. In small teams led by an experienced member of staff, you will move around various hot spots at the property, recording findings using your investigation pack. The Post Investigation Discussion - After the vigils all the teams will discuss and compare the results of their vigils, in particular to note any similar occurrences between teams, that's assuming of course that you have made it through the night!! Purchase a ghost hunting experience throughout the UK or at Leith Hall and other Aberdeen locations. You will learn how to pick up on ghostly feelings in your surroundings, picking up on the atmosphere of the building and past inhabitants. As you go through each room in the haunted building the medium and psychic will demonstrate and teach you to pick up on ghostly feelings of the room, teaching you to feel around the room using your basic psychic senses. Mediums and psychics use these ghostly feelings to pick up the residual feelings of a room, building or objects. During the night they can teach you to use your natural psychic senses as you walk around haunted buildings in Aberdeenshire like Leith Hall. Areas of paranormal and ghostly activity can be identified this way. Make notes and after a walk around the entire building your guides for the evening and night will bring you back to these areas to perform further ghost investigations. Other ghostly feelings are what ghost hunters call cold spots, though hot spots are common too. These are areas of extreme cold or heat that can signify the presence of a ghost or spirit. These cold spots are thought to be caused by the movement of ghosts and the energy their presence creates. People who have experienced cold spots have described feeling nausea and dizziness. Others experience extreme emotions, sometimes the transferred emotions of the ghost such as fear or joy. It is common for cold spots to remain in the same area and be felt by different people at differing times and dates. Other ghost hunters consider the cold spots to be the portal or doorway that ghosts use to gain access to our living world. Psychic breezes are slightly different to cold spots because the coldness feelings move around. An example of a psychic breeze is when people sitting at a seance report coldness around their knees as a spirit moves amongst them. Hot spots are commonly felt when in the presence of spirit who have chosen or must stay on earth. The hot feelings are caused by the energy of the ghost moving around the place they haunt. The professional ghost hunters will talk to you about earthbound ghosts who are spirits who have not ascended to the spiritual plain but have remained on earth to haunt their former homes. These are the grey or green ladies often seen in Scottish castles. If you are lucky you may catch a glimpse of one out of the corner of your eye, or witness a full ghostly manifestation. One interesting way that some ghosts manifest is to appear walking across a room or through a doorway by their upper body. This is explained by them thinking that the floor is still in the origin place when now it is raised. The same goes for ghosts who appear to walk through solid walls or through chimneys. When they were alive these areas would have been doorways but have been blocked up or renovated or even had a totally new building built in its place. An example of this is the Cullen House ghost which doesn't realise that Cullen House was demolished years ago and flats built on the land. So what are ghosts and what type of ghosts might you see whilst ghost hunting in Aberdeen? Well ghosts are spirits from the other side, or the other world. Some might say they are people who have not yet ascended to heaven or they may not realise they are dead. Ghosts can appear as shadows, glimpses out of the corner of an eye, full manifestations, headless corpses, smoky figures, wraith life appearances, floating ghostly figures and even have a normal appearance as an old man or woman, children playing, dogs or other animals. Getting back to human ghosts they could look specific like monks, soldiers, nuns, nurses, horsemen, ancient kilted Scots, Victorian gentlemen, etc. Types of ghosts may be memories that someone with psychic abilities has tapped into and can picture or witness. Some would say that ghosts are a snapshot or photograph in time, briefly glimpsed in another moment. Others consider ghosts to be energy left in a building from people who once worked, lived or died in a specific room. Psychics can tap into this residual energy. The stronger the emotion the stronger is said to be the residual energy left by a once living person. So psychics can feel great joy, happiness, fear, sadness, grief, loss and other strong feelings and emotions left by the dead. Spirits are slightly different to ghosts and refers to the soul of the person. For example the crises ghost is a phrase which refers to the spirit or ghost of a person who is seen at the moment of death by a loved one far away. Spirits or souls often return to the earthly plain to visit loves ones or places they loved in life. These may manifest themselves during a ghost hunting experience in Aberdeenshire so be on the lookout! Spirits and souls are the people who make contact with mediums and clairvoyants and their spirit guides. If you have a medium or clairvoyant with you on your ghost hunt then they will tell you when they have picked up the presence of spirit or made contact with their soul. Professional ghost hunters, like Derek Acorah, liken the presence of souls to vibrations set at a different frequency to ours and at times they may manifest themselves into our frequency. Ghosts can be found all around us, in modern or ancient buildings. Historic buildings or the sites they once stood on are more likely to have ghostly phenomenon's and are great for going ghost hunting in Aberdeenshire. Modern buildings may have ghosts from suicides or murders or spirits who do not want to leave a building like a hospital from a sense of duty. Old castles, hospitals and monasteries are favoured haunts of ghost hunters and those going ghost hunting. An electromagnetic field meter (EMF meter) will measure fluctuations in electromagnetic energy that are caused by ghosts and spirits. Such activity registers above 2.5 milligauss. Electric cables can generate electro magnetic fields so such sources should be eliminated from findings. Some ghost hunters also use pendulums and dowsing rods to pick up on the electromagnetic energy field of ghosts. These forms of checking for the presence of ghosts can be affected by water in the area including underground streams. A tape recorder can be used to record your own thoughts and findings or used to record the noises made by ghosts. It is worth taking random recordings with a tape recorder during ghost hunting or whilst holding a seance, some ghost hunters have captured what they think to be spirit voices on tape. Some ghost hunters prefer digital cameras whilst others prefer the traditional film cameras. What are thought to be ghosts have been photographed. These include floating orbs and camcorders have captured objects moving by themselves. Ghost hunters use digital thermometers to test for drops or raises in temperature. Though normal mercury bulb thermometers could be used the digital thermometers give faster results and can be used throughout a room. A digital thermometer will also be easier to read. Listed below will be ghost hunting sites.  If you run a site about ghost hunting in the UK and would like listed for free then please use the link on the above left to contact me with your website url and description. Websites that link back to aboutaberdeen will get priority listing. Ghost hunting Scotland is performed by the Mostly Ghostly team who ghost hunt in Scotland locations such as Dumfries and Galloway. These part time supernatural investigators perform night vigils at haunted locations throughout Scotland and report their findings with photographs at their website mostlyghostly.org. This includes reports of their ghost hunting at the Theatre Royal in Dumfries which is reputed to have many hauntings over the centuries. These ghost and paranormal sightings include several actresses seeing a man standing behind them when they are looking in the mirror and no-one there when they turn around, ghostly footsteps when the area is thought to be empty, feelings of being watched, items being moved and sightings of a green lady. Another ghost hunt Scotland undertaken by MostlyGhostly took place at the Garlieston Straight road between Kirkinner and Garlieston where the ghost hunters traced reports from local people and heard first hand accounts of ghost sightings of a distressed girl with long black hair and dressed in white who appears to motorists at the side of the road. Other ghost hunting Scotland investigations undertaken by the Mostly Ghostly intrepid ghost hunters Scotland team took place at Jedburgh Jail, Kielder Castle, Sorbie Tower and the Galloway Gazette Building. There was a ghost hunt at Leith Hall on the 14 May and 14 October 2007. Previous ghost hunting events in Aberdeenshire included a ghost hunt at Leith Hall on Saturday 14 October from 8pm until 6 am on Sunday 15 October 2006.